The knowledge and skills in basic first aid is beneficial for you, your family, friends, neighbours and local community. Because if an accident happens - you have the abilities to help and save life. According to the Norwegian Red Cross' website, 5000 Norwegian annually, get cardiac arrest (when the heart sudden, sometimes temporary, stops beating), 3000 out of 5000 cardiac arrest happens outside the hospital. Easy techniques can keep a human alive until the ambulance arrives. In the Thailand Red Cross Society they works with youth volunteers aged 15-25 from schools, college, university, the Thai Ministry of Education's Office of Non-Formal and Informal Education and special groups of young people. In 2015, 18732 young people were registered as volunteers with the Thai Red Cross Society's Youth Bureau. Each had completed the Bureau's Basic Life Support: First Aid Training. The best way of learning first aid, is by participating in a first aid course. 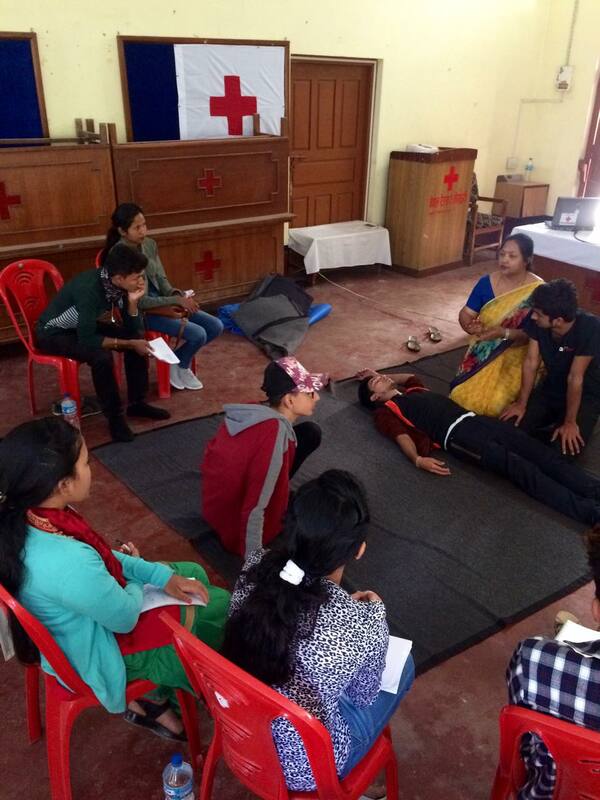 After careful analysis and consideration together with the youth volunteers in Sunsari District, Nepal we found out that a big need in the local community is to increase knowledge and skills in first aid. 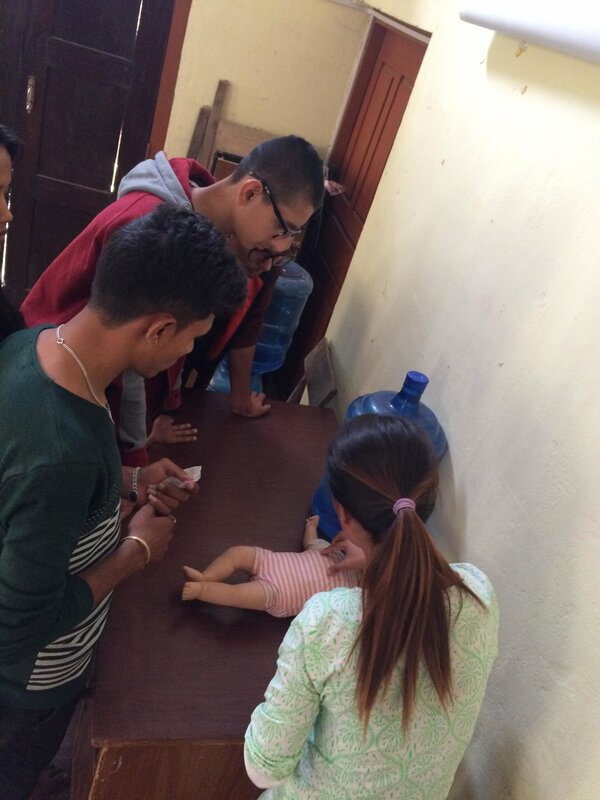 Thus, we decided to provide the youth team and junior and youth Committee with basic First Aid training course. A follow-up plan is to make this group trainers in First Aid. In that way the Red Cross youth volunteers can train up other youth volunteers and others in their local community to save more lives wherever and whenever necessary. The photos below are from the three-day training in basic first aid course conducted between 16th-18th of March 2018. The emblem of Red Cross is a tribute to the founder of the Red Cross Red Crescent Movement, Henry Dunant, and should ONLY be used by Red Cross/Crescent actors. The Red Cross is an official protective symbol, and is reserved as protective emblem for medical personnel and facilities in combat situation. For example if a pharmacy is using the Red Cross, and not the universal symbol of First Aid - it is a MISUSE, and must be reported. Best of luck with your first aid! - Remember, the more you practice on your first aid knowledge and skills, the better you become - and more confidence you get in yourself. Find a partner or a group of friends you can practice with on a regular basis. For example once a week or twice a month.